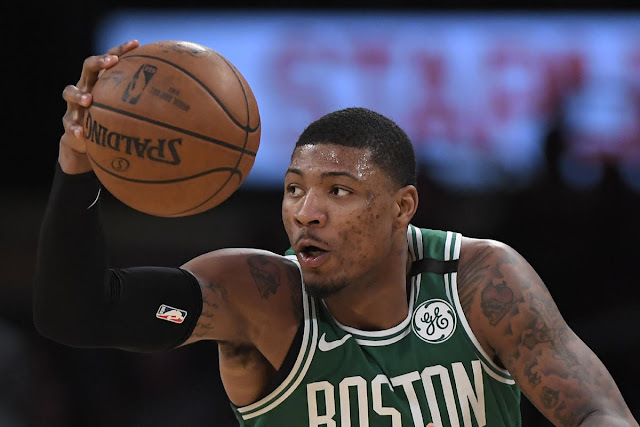 There has been a lot of speculation regarding the cause of Marcus Smart's right hand injury, which forced him to travel back to Boston on Wednesday, leaving the team before the Boston Celtics faced the Los Angeles Clippers. Many suspected that the injury might have resulted from striking something in frustration after missing the winning shot in Tuesday night's 1 point loss to the Los Angeles Lakers, as Smart has had a history of punching walls in the past. According to Mass Live, the Boston Celtics have reported that Smart could miss up to 2 weeks, and he suffered lacerations on his hand which required stitches.